It’s not everyday you see an R&B artist talented enough to pen songs for P. Diddy and Ludacris followed by signing to Jay Z’s Roc Nation label. That artist was known as Range until he did the unthinkable and transitioned into country music. 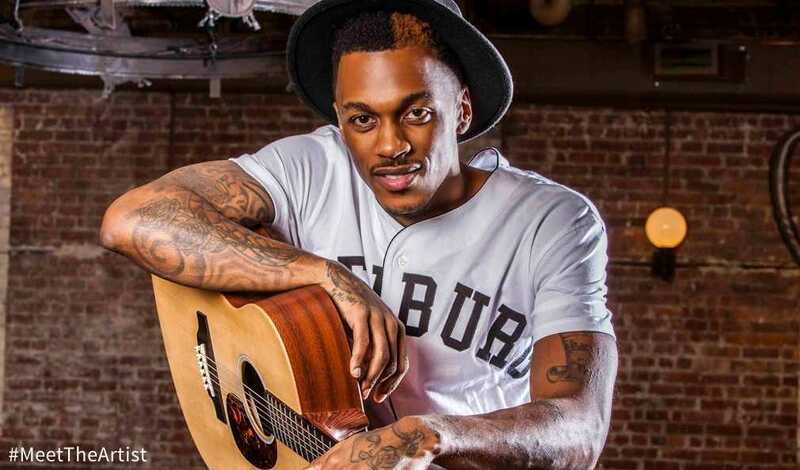 Now known as Chuck Adams, we caught up with this versatile musician to talk about his Roc Nation experiences, his transition to country music, and the importance of art in this exclusive interview. Hey Chuck! You’ve won an ASCAP award for writing the megahit One More Drink (Ludacris). You’ve also worked with artists like Rick Ross, Ryan Leslie, and Beyonce, but who was your favorite and why? My favorite was definitely Rick Ross, we first reached out to Jeezy. Ross at the time didn’t release that mixtape yet with B.M.F. on there that solidified him in the position he’s in as far as the northeast was concerned. So at the time, I knew who he was, but I didn’t realize how talented he was. He took a risk getting on my song, and for that, he’ll always be my favorite collab. Plus he blessed me with an amazing verse, and has always been cool when we run into each other. What was your whole experience being signed to Roc Nation like? Is Jay Z really as smooth as he appears? It was cool, lots of highs. I’ve read that the hip hop lifestyle wasn’t really for you. Transitioning from an r&b artist to a country artist sounds drastic. What was the biggest reason you made the move? How much of a lifestyle difference have you experienced? It seems drastic but it’s been transitioning for 4 years now. When I was signed with Roc Nation I was writing country, but no one in my camp really cared at the time. I was still growing as an artist, now the sound has matured to a point where it’s ready to be consumed. Lifestyle difference is pretty drastic, Nashville is nothing like New York City. But the business side is exactly the same, cut throat about the dollar. So I’m enjoying the lifestyle change, outdoors, bonfires, lakes, and back roads. The fact the business is exactly the same is slightly disappointing. I believe the transition to country works great with your sound. Shotgun is a dope track that shows you’re a talented musician – regardless of the genre. What do you hope to accomplish in the music industry now that you’ve musically found yourself? Thanks, I want to accomplish whatever the Lord has planned for me. I’m planning for a successful career as an artist and what that brings, but I don’t hope for what I want. Are there any specific artists you’re looking forward to working with down the line? I’d like to work with Andre 3000 and Celine Dion. Different studio sessions of course. Your new EP, A Thousand Tomorrows, is now out! What can fans expect to hear on your new EP? The project is starting to take shape. You can hear the country, the soul, and the pop in the EP. The fans will hear 4 songs that will help them understand where this album is going. From what I can tell you seem like a very passionate person. What is your biggest influence? My biggest influence is my conscience. As an award-winning musician, what would be your advice for aspiring musicians looking to break into the mainstream market? We at ThinkDope are passionate about all types of art. What does art mean to you? Life to me is art. I’m actually sitting outside now typing, watching my dog chase a bird. It lasted about 10 seconds for obvious flight reasons, but I thought, whoever created these characters is a genius. Thanks for taking the time to do this interview, Chuck. Do you have anything else you’d like to say? Go download the new EP on my site ImChuckAdams.com, and thanks for your time! We appreciate Chuck Adams taking the time to do this interview. What do you guys think of him?